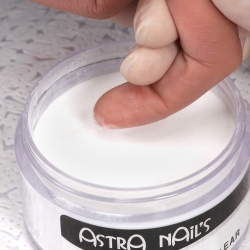 The A.N.S™ is a combination of 3 products (bonder, powder and fix). 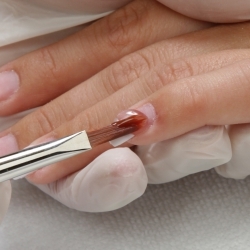 This method can be learned easily and doesn't need long practices to obtain nice, thon and longlasting nails. Acrylic resins are made of a polymer and a monomer. 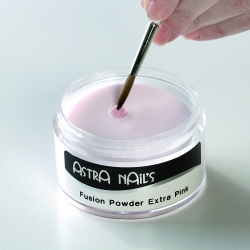 The combination of this 2 products makes a paste that hardens from itself while the Nail Technician is sculpting it onto the natural nail plate. This method is not as easy as the other ones, like UV gels or A.N.S, but the final results and the satisfaction of the accomplished work is uncomparable with other systems.